Playdough is an excellent sensory activity. It gives tactile feedback, can help soothe, and often includes senses other than touch such as scent (olfactory). 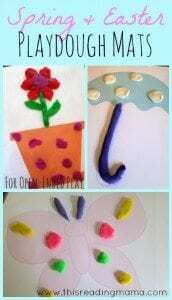 There are many ways to expand playdough play. 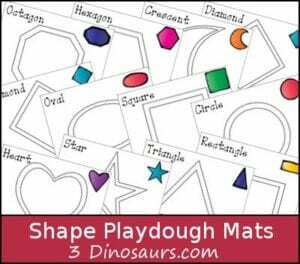 Creating playdough mats using these free printables is a very easy way to make a playdough station. Many of the mats incorporate learning concepts and for most children, they can be done independently. 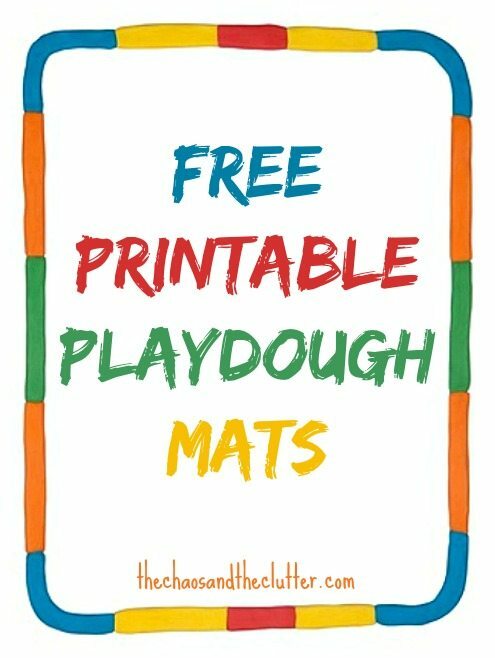 These playdough mats are all free to print. 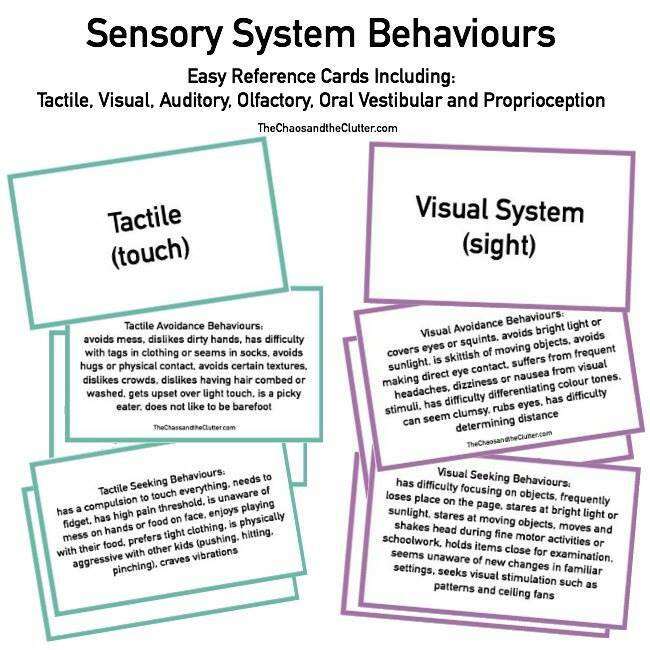 The easiest way to create a playdough sensory station with these is to either laminate them once they are printed or insert each page into a plastic sleeve*. They are then ready for endless hours of play! *organizational tip: If you put the printables into plastic sleeves that have holes in them, you can keep all of your playdough mats in a binder for easy access. I love this idea as you can include other sensory items like different textured fabric, googly eyes, pipe cleaners, button, and beads. I also like that these could be used to help teach emotions and facial expressions. If I had to choose a favourite, this would be it! 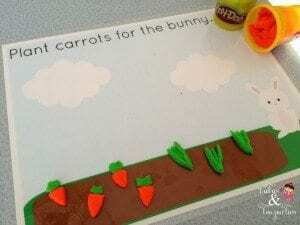 This mat offers all kinds of learning opportunities and hands-on play. Depending on their age and skill level, kids can play with it differently. This set could be used in the summer or in the middle of winter when we start dreaming of summer and wishing for it to arrive! This set is so cute. 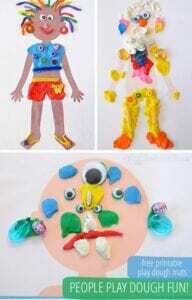 I like that it really allows for the kids to use their imaginations! I like the open-endedness of these. Great for preschool and reinforcing pre-reading concepts. 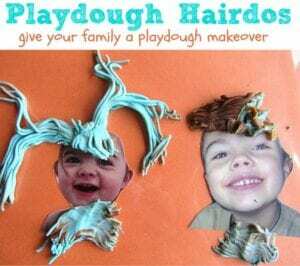 And a bonus activity from No Time for Flash Cards…Playdough Hairdo Mats that you create yourself with photos of your family! There are many playdough recipes out there and some are very easy no-cook recipes, but I have still found that the best one out there is our tried and true classic playdough recipe. We change it up a bit by making chocolate playdough or calming lavender playdough but the basic recipe is the same. 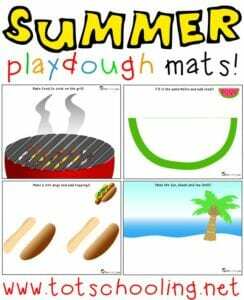 Whatever playdough you decide to use, creating a playdough sensory station using playdough mats is easy and costs next to nothing. 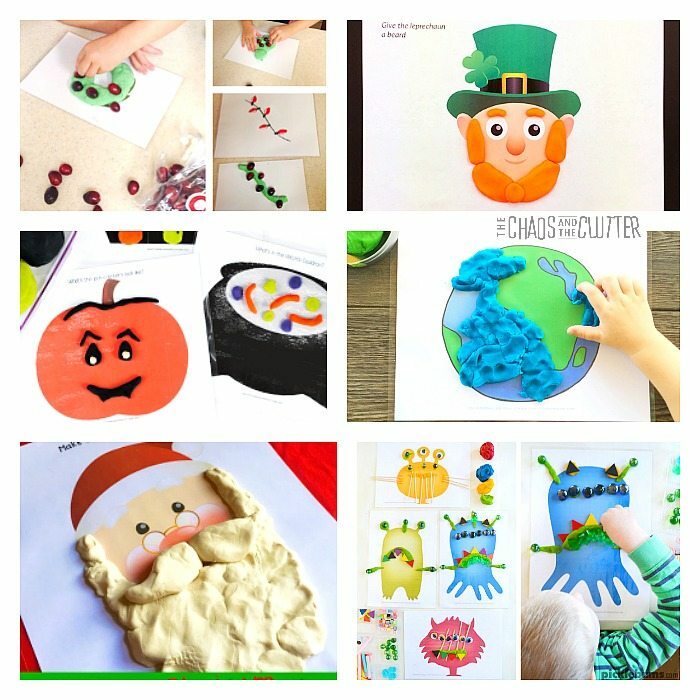 Here are more printable playdough mats for sensory play including ones for holidays like Christmas. 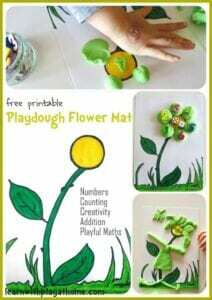 Loving all these play dough mats! Thank you for including ours. Off to pin the others so we can use them too!